Another improvement that’s been made over 900, is the 902’s exterior build quality, which is now nothing short of staggering – the case weighs a good three kilos more than its predecessor and this extra weight has clearly been used to further reinforce the chassis throughout. It’s ludicrously hard wearing and can take a real beating, especially in regards to the side panels which are incredibly strongly reinforced. We tried knocking the case about in typical “accidentally kicked while under your desk” style and it doesn’t carry as much as the smallest blemish – needless to say we are impressed. In comparison, several other brands would have whimpered at this kind of abuse. 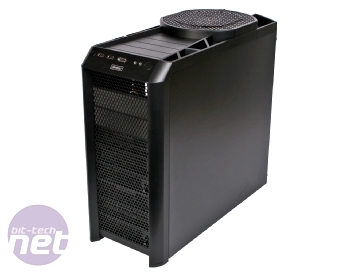 There are refinements elsewhere too, and while the left hand side panel still comes with the same precisely cut perspex window as the 900, the window’s integrated 120mm fan mounting now benefits from a nifty removable dust filter – a major advantage over the filter-less dust magnet that the original 900 is. 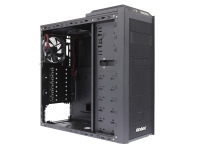 The window itself is well positioned, showing off the core hardware while keeping the drive bays hidden. Perhaps the best new feature of the 902 though is the fact that every single cooling fan that comes fitted in the case can have its speed individually adjusted very easily from the outside. 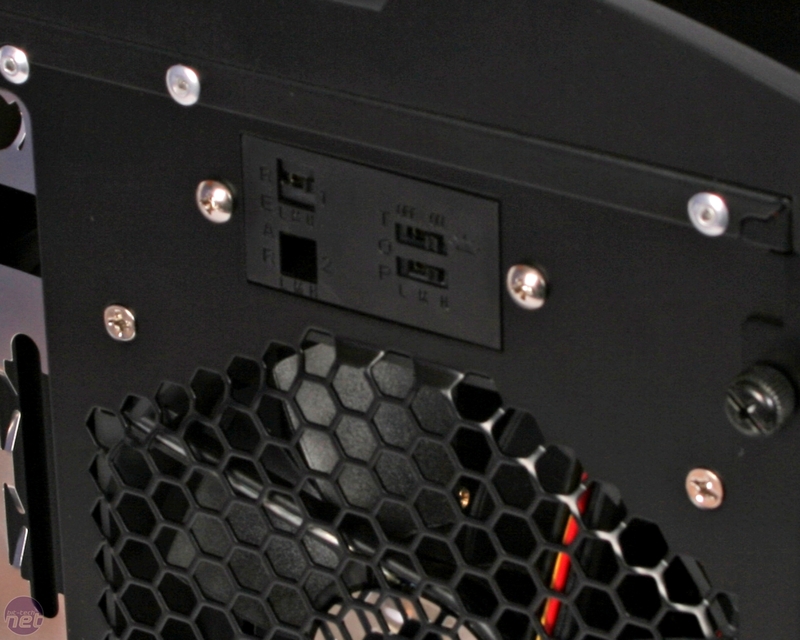 The dual front 120mm intake fans (mounted internally in a drive bay system) can be adjusted between 12V and 6V using tiny subtle rheostats mounted into the front fascia and the 200mm and 120mm exhaust fans can be adjusted with three-point slide controls mounted onto the rear panel between low, medium and high speed. There’s even a switch to turn off the LED lighting for the 200mm Big Boy fan, thank god, although sadly this doesn’t extend to the individual 120mm fans – a shame especially as we’ve seen that this feature is possible with the Cooler Master Sniper. Fan controllers are an incredibly useful asset to a case and we love them here at bit-tech, so it’s baffling why some manufacturers refuse to fit them considering what an awesome inclusion they can be. It’s clear that Antec has listened by taking this into account, and the ability to individually and externally control all four cooling fans is a unique and seriously useful feature. Sliding off the side panels (secured using twin thumbscrews and very well fitted) reveals the internals of the 902 and another one of the refinements that elevates the 902 above it’s predecessor is in the form of a fully painted black interior. 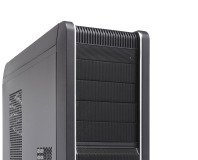 It was one of the biggest criticisms of the original 900 that despite having a great window, the insides of the case were very boring clad in a depressing grey. Now this has been corrected and the interior looks great with the combination of well painted black steel and chrome fittings. Other than the spiffy new paintjob though, the insides of the 902 are all but identical to those of the original 900. 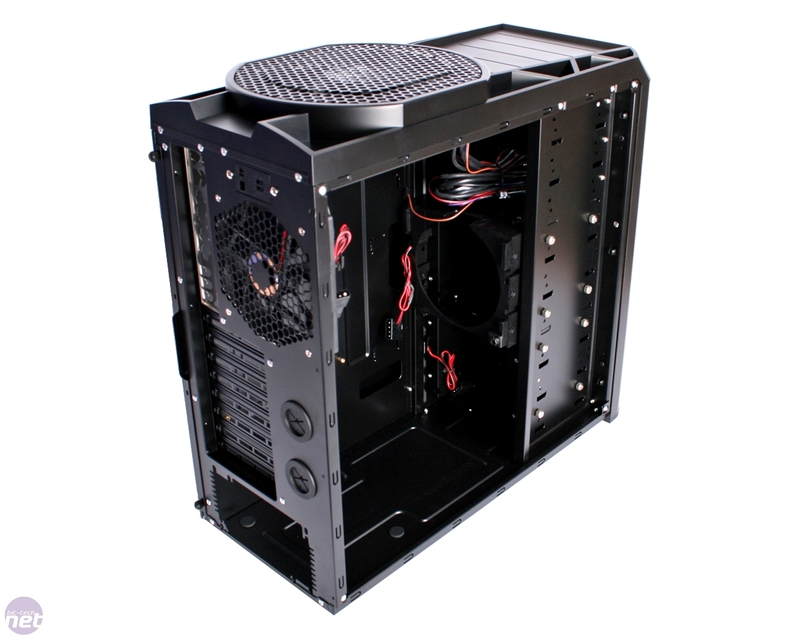 The PSU is still mounted onto the floor of the case upside down to act as an additional exhaust fan (just don't drop any screws in it), and it still has the rubber mounting pads to help cut down on vibration, with the motherboard tray and standoffs fitted directly above and running right into the top left corner of the case. The thinking behind such a layout is that the top left of a motherboard is generally where the CPU is fitted, and my cramming the board into here as close as possible, the Antec is able to maximise cooling using the rear 120mm and top mounted 200mm exhaust fans. 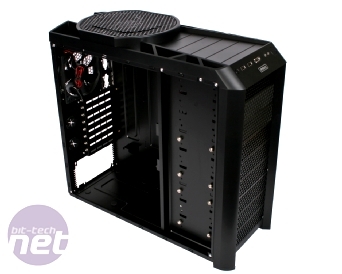 However, the proximity of the cooling fans to the CPU socket makes fitting CPU coolers, especially larger ones, at best a real pain and at worst it just doesn't work. It means even push pin mounted heatsinks will likely require the removal of the entire motherboard unless you acquire the services of a sibling or other child relation who's tiny fingers can fit into the very limited space. 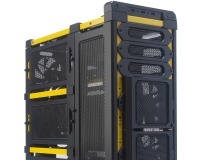 Should Antec have made the decision to use a removal motherboard tray, this task would have been a whole lot easier.